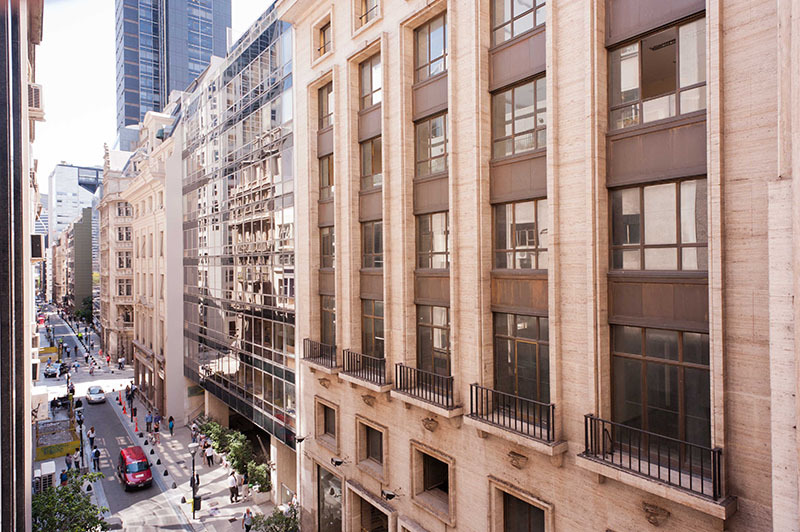 Our partner school Expanish is centrally located in ‘downtown’ Buenos Aires, close to the famous Plaza de Mayo. The school has a brand new building with all kind of modern facilities such as 24 modern classrooms, a computer room, a student lounge, coffee area, free Wi-Fi, and heating /air conditioning. The atmosphere at Expanish is very international meaning you will get the chance to meet students from all over the world! The school offers a variety of different activities every week, so there is always something fun to do! You will enjoy Buenos Aires and learn about Argentine culture, but also practice your Spanish outside of the classroom. Every week there are at least four free activities for students. These can include sports, cultural activities, historical tours, or tango lessons. Furthermore, there are additional low-cost activities such as salsa or tango classes, wine tasting or horse riding. Last but not least, day and overnight excursions are offered. These trips allow you to test your Spanish skills while exploring the exciting destinations outside of the big city. Examples of places of interest are: Igazú falls, Mendoza (Wine capital), or Colonia (Uruguay). Excursions are offered about once a month. An in-house travel agent is also available for those who need help planning their own trip! The intensive course consists of 20 or 30 lessons per week in groups of up to 12 students per class. Lessons emphasize communication and are, therefore, of an interactive nature. Classes will usually take place in the morning, but may be held in the afternoon depending on the number of students attending the school at that time. Lessons will focus on development of the four key language skills: speaking, writing, reading, and listening. Courses start any monday on any level. Students aged 16/17 must always book accommodation with a host family, as well as an airport transfer. A double room is only available for students travelling together. Supplement for special dietary (vegan, vegetarian etc..): € 33 per week. Stay in residences are subject to availability and may include their own policies and fees, such as a deposit. Stay in the residence is always in a twin room. Individual students can book a twin room and will share the room with another student. Meals can be booked on-site. Students aged 16/17 must always book accommodation with a host family, as well as an airport transfer. Airport transfer on arrival at Buenos Aires-Ezeiza (EZE). In 2019 the school will be closed on 01/01/2019, 04/03/2019, 05/03/2019, 02/04/2019, 19/04/2019, 01/05/2019, 17/06/2019, 20/06/2019, 09/07/2019, 18/11/2019, 25/12/2019, 01/01/2020. During weeks with one holiday, group classes will be compensated with 2 extra hours of optional group classes. During weeks where there are two holidays, Intensive Spanish 20 students will receive 6 extra hours of classes and Intensive Spanish 30 students will receive 2 hours of one-to-One lessons as compensation. This course is the most effective way of achieving goals in a limited amount of time. The course consists of 10 lessons per week, though more classes may be available upon request. In this course you will learn at your own pace and through subjects of your preference. If you already have a decent understanding of the Spanish language, you can also use these classes for DELE exam preparation, executive Spanish or cultural lessons. One-to-one course can prepare for general Spanish all levels while students with a minimum level of elementary can choose general Spanish, Latin American Cultural Classes, Business Spanish, Medical Spanish or DELE preparation. A Spanish and Tango course in Argentina is a great way to combine Spanish with learning a new enjoyable skill. The Tango course involves an intensive course of 20 lessons Spanish in the morning, with 2 Tango dance lessons per week (1 grouplesson + 1 individual lesson). Tango classes are available for beginners as well as more advanced students looking to perfect their skills. With the special intensive course you will have the opportunity to receive a number of private lessons in addition to 20 group lessons. You can choose from 4, 6 or 10 extra lessons with the focus on a topic your choice. A homestay is the best option for those that want to practice their Spanish as much as possible, since you will share two daily meals with your hosts and will have plenty of opportunities to speak. Host families are located 20-40 minutes from the school. You will have convenient access to public transportation to the school (located in downtown Buenos Aires). You will share the bathroom and living spaces with the host family. Towels and sheets are provided, as well as a weekly cleaning service. Internet connection is available. Caution: It is obligatory for 16- and 17-year-old students to book accommodation in a host family and an airport transfer. The executive host families are perfect for those who are looking for more comfort in their accommodation. You will have your own private bathroom and receive additional amenities like a daily cleaning service and guaranteed Wi-Fi. These host families are located within 20-40 minutes from the school, in the best and safest neighbourhoods such as: San Telmo Villa Crespo, Palermo, Belgrano and many more. You will always stay in a family located within 5 blocks of public transportation (subway or bus) to make your daily commute as easy as possible. Towels and sheets are provided. In a shared apartment you will stay in a private room in the apartment of a local host. As meals are not included, you will be able to experience independent local living and while enjoying opportunities for practicing Spanish conversation with you host. It's possible that you will stay with other international students in the apartment of the host. Towels and sheets are provided. There is a fully equipped kitchen, weekly cleaning service and Wi-Fi in the apartment. The distance to school is approximately 20 to 40 minutes. The student residence is located in the neighbourhood San Telmo, close to downtown Buenos Aires, within walking distance (30 minutes) to the school. The residence is well-maintained with friendly staff 24/7. The building contains of 6 floors, with in total 41 bedrooms. Bed linens and towels are provided and changed once per week. Daily cleaning of bedrooms (Monday to Friday) is also included. Furthermore, there is Wi-Fi and computers with internet. You will live with both Argentine and international students and stay in a double room shared with another student. Breakfast from Monday to Friday is included, and additional meals plans can be booked on request. The common areas of the residence include: a garden, terrace, living room, study areas and a computer lab. Min age to stay in the residence is 18 years.